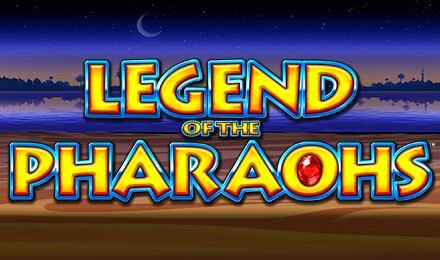 Legend of the Pharaohs is a 5 reels and 25 paylines Egyptian themed slot game that comes powered by Scientific Games. Themed on one of the most popular slot designs, enjoy spinning the reels and try to escape the cave where various statues of the God Horus surround you. If you can decode the hieroglyphs, your way out will be much easier. Symbols you will find landing on the golden coated reels are: Ankh, Eye of Ra, Osiris, Scarab, 10, K, J, Q and A. Your aim on Legend of the Pharaohs slot is to form winning combinations from left to right of the slot grid. Select your preferred stake by using the plus or minus buttons on the Bet Field. The Autoplay option allows you to play the game hands free, where you get to select a number of auto spins to put to play. Amount of Paylines Selection: No bet levels available. The Gold Wild is the wild symbol of the game, and appears on only reels 1, 2 and 3. This symbol replaces for all other symbols to help form winning combinations except for the blue and red pyramids. This feature is triggered by landing 3, 4 or 5 blue pyramid scatters anywhere on the reels. When launched, 10 free spins are awarded linked with 1, 2 or 3 bonus features. Wild Reels: One reel turns completely wild until the end of the feature. Win Eliminators: Starting with the lowest value symbol, up to five icons are removed from the slot grid to increase winning potential. Wild Symbols: Normal symbols on the reels are turned into wilds until the end of the feature. Colossal Symbols: One symbol is picked to become a colossal symbol, this covers for all positions of reels 2, 3 and 4. Landing 2, 3 or 4 red pyramids during the Free Spins Feature awards extra free spins and more bonus rounds. The Big Bet Feature consists of five linked spins, in which your aim is to collect scatters in, rather than having to land them in one spin. Collecting two scatter symbols will award you a spin on the Wheel of Fortune to get the third scatter or a cash prize. The Big Bet Feature options range from £20, £30, £40 or £50.